In 2011 BPW Australia became, and remains, the only BPW International Affiliate to become a signatory to the United Nations Global Compact. UN Global Compact and BPW Australia. Letter from the Executive Director UN Global Compact Office ,Mr Georg Kell. You can read the results of a recent survey of clubs that demonstrated our members’ commitment to the principles of the Compact. A very exciting and innovative change has been developed by the United Nations especially regarding gender equality and the empowerment of women and girls. The SDGs will be an invaluable tool for BPW Australia Clubs to compare their activities to the SDG goals to improve women’s rights, read more……. The UN Global Compact is a strategic policy initiative used by organisations around the world. It is a practical framework for the development, implementation and disclosure of sustainability policies and practices, offering participants a wide spectrum of workstreams, management tools and resources all designed to help advance sustainable business models and markets. Whether you are a SME, start-up or large organisation, this policy initiative will help you align your operations and strategies with ten universally accepted principles in the areas of human rights, labour, environment and anti-corruption. By doing so, business, as a primary driver of globalisation, can help ensure that markets, commerce, technology and finance advance in ways that benefit economies and societies everywhere. 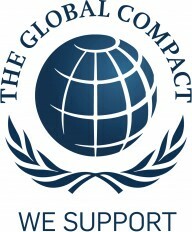 The Global Compact is an endorsed and globally-recognised way for the private sector to review, plan for and manage increasingly complex risks and opportunities in the environmental, social and governance realms, while embedding markets and societies with universal principles and values that benefit all. As a signatory to the Global Compact, we encourage our members, sponsors, supporters and partners to seek collaborative solutions to the most fundamental challenges facing both business and society. We believe the best outcomes will be found when all stakeholders in our future work together ­business, government, community and the UN ­ and this initiative is a means to achieve that. The Global Compact brings together the moral authority and convening power of the UN, the private sector’s solution-finding strengths, and the expertise and capacities of key stakeholders in international debate. The Global Compact is global and local; private and public; voluntary yet accountable.